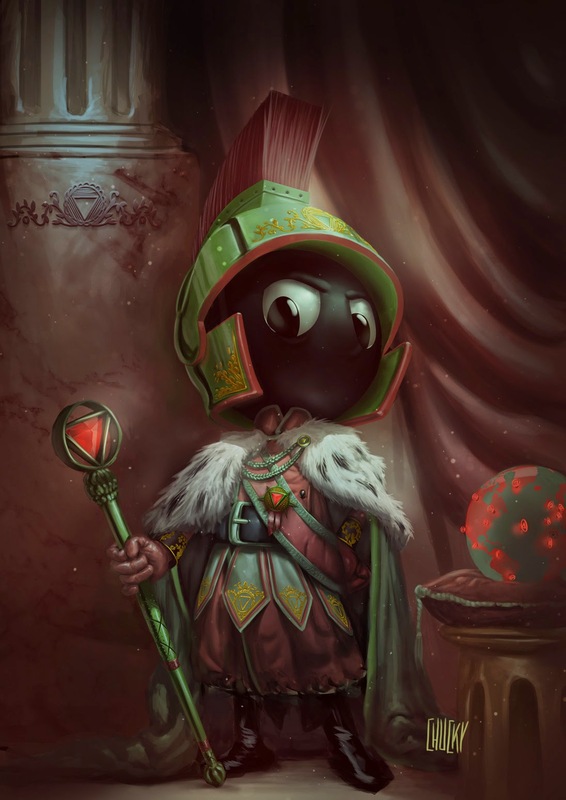 this is was commissioned by the martian government, i was asked to paint their supreme leader and emperor Marvin the Martian with his fancy emperor outfit! really fun! Marcadores: emperor, outfit, realistic cartoon marvin the martian marvin o marciano mars attacks concept ricardo chucky, victorian, warlord.